Automatic Studios' Movie Arts© After School Programs are a fun way for kids to practice their creative and teamwork skills outside of the classroom. Programs include expert instruction, access to and guided use of professional moviemaking equipment, props, and healthy snacks provided each class. Our 10-Week Movie Arts© curriculum guides children (grades 4th-8th) through the complete moviemaking experience, wrapped up with a special screening of the students’ finished film, for friends and family members at our studio in DUMBO. 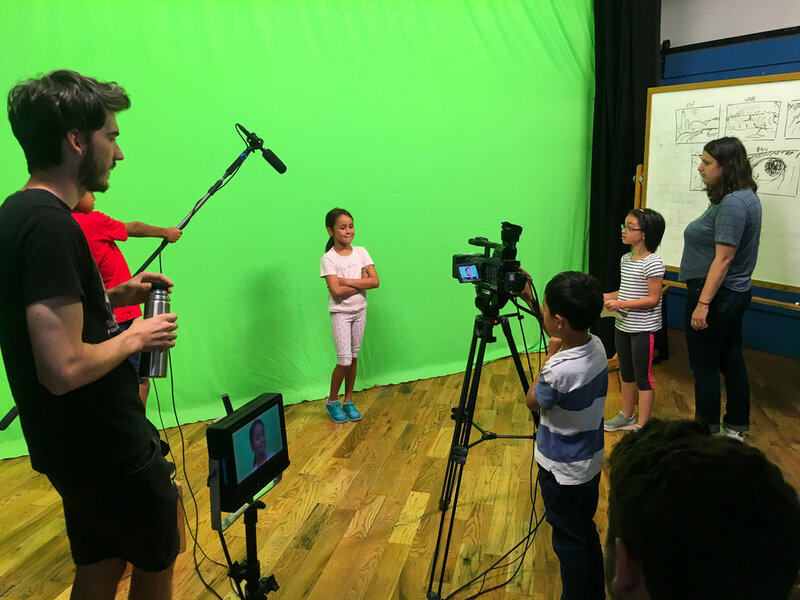 Each After School class is designed to accommodate a maximum of 12 students and will always have a minimum of 2 instructors guiding every 2-hour session through each step of the collaborative moviemaking process. Throughout the 10 weeks, each class will work as a creative production team to create their own original short (5-10 minute) movie. Afterschool runs from 4pm-6pm. Each class is 1 day a week and runs over the course of 10 weeks. The collaborative process of creating one story for the movie. Transforming the story into a screenplay / Developing a shot-by-shot schedule / Storyboarding. Transforming the story into a screenplay. Camera. Lights. Action! Everyone on set in the studio or location. Rough Cut, Final Edits, Sound mixing, Special Effects and Credits to complete movie. Students’ finished movie shown at private screening at Automatic Studios with Q&A with students and MOVIE ARTS© Instructors. Winter 2019 After School is currently in session. Check back in the summer for fall registration.